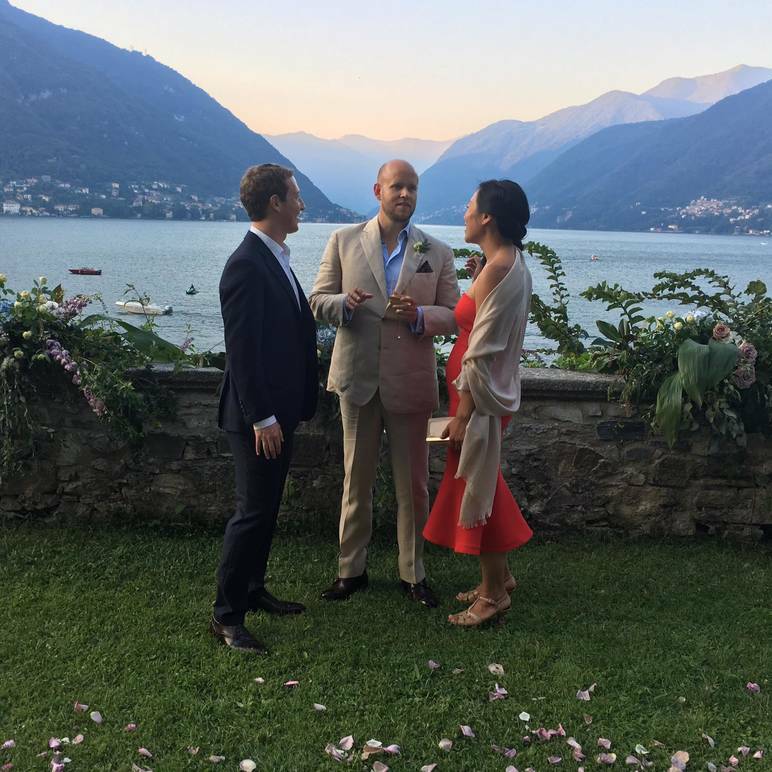 At Lake Como in northern Italy to celebrate the wedding of good friends, Sofia and Daniel Ek. 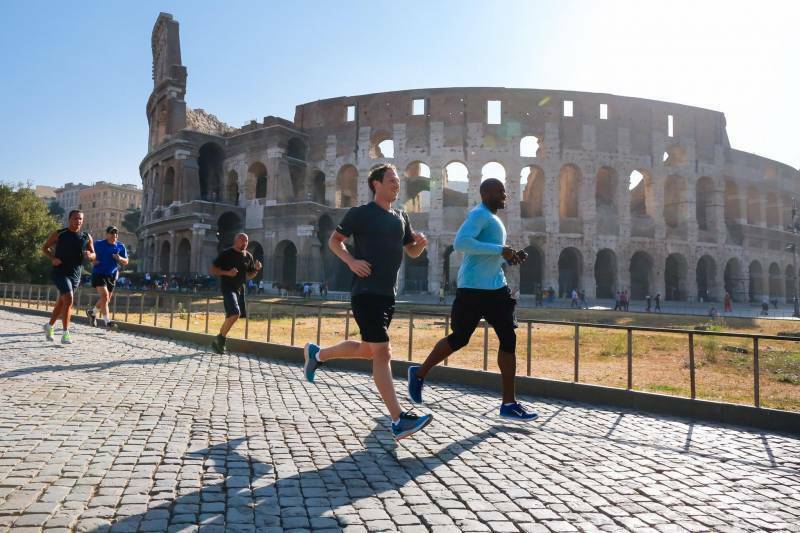 The Facebook CEO spends a few days in one of his favorite countries, juggling around official meetings, Q&A session with college students, morning runs around the Colosseum and a good friend’s wedding. It was business trip and a reason to stay close to the community he loves so much. Facebook CEO Mark Zuckerberg headed to Rome today, after the earthquake that devastated central Italy last Wednesday. There, he hosted a Townhall live question and answer session at the Universita’ LUISS Guido Carli with the Italian Facebook community. The trip gave also Zuckerberg and his wife Priscilla the opportunity to meet with Pope Francis and Prime Minister Matteo Renzi. 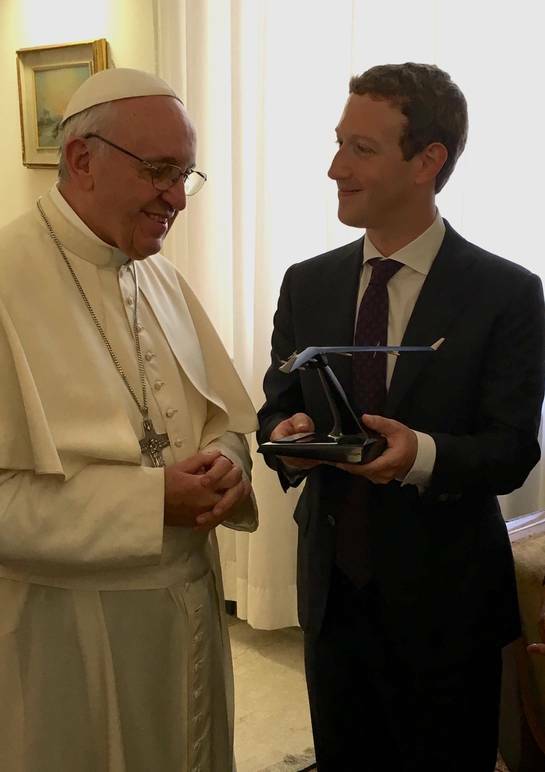 With the pope he discussed the importance for people to connect, especially in countries without internet connection He also donated a model of Aquila, a solar-powered drone capable of bringing internet connectivity in places where it doesn’t exist. During his face-to-face with Renzi, Zuckerberg talked about new technologies, the earthquake and the ability of the Italian community to recover and rebuilt. As part of his effort to help, Zuckerberg donated $500 thousand to the Italian Red Cross and made Facebook available for any kind of support. Already in 2014, Facebook launched the Safety Check feature for people to let family and friends they’re fine during unexpected disasters. “Social networks are proving their great utility for social engagement in case of emergency, and solidarity for the communities affected by tragic events like the one we are experiencing these days,” Italian Red Cross President Francesco Rocca said. However, Zuckerberg’s trip wasn’t all about business after all. It gave him the chance to visit once again the city he loves, Rome, and celebrate his close friends’ wedding. Sunday afternoon he posted a picture from Torno, near Lake Como. Zuckerberg and his wife were among the guests of Daniel and Sofia Ek’s wedding. “Many people know Daniel as one of the great European entrepreneurs -- the founder of Spotify. I know him as a great friend and dedicated father,” Zuckerberg commented on his post. Only 13 hours later, Zuckerberg was in Rome, running around the Circus Maximus and the Colosseum. On his Facebook pot he confessed his love for the eternal city. In fact, he and his wife spent their honeymoon there as well. Zuckerberg also studied Latin and Roman history and culture in school and recognizes Augustus Caesar as one of his favorite historical figures. “Being in this part of the world brings out other emotions for me, because I love Rome. “When I went to college I thought I was going to major in classics, but I didn’t. I ended up majoring in computer sciences and psychology, but I didn’t make far into college anyway,” said the youngest billionaire in the world.